You Goldens look marvelous! Happy St Paddy's Day! Happy St. Patrick Day Smileys! Oh, you guys look so cute. Happy St. Pat's Day. What a fine looking group! Hope you have a great St. Patrick's Day! Love the hats! How you keep them On? You all need some of our big hats! Cute trio, though in the tiny ones. Happy St. Patty's Day! You should come check out Ziva's ears!! Love your hats! Happy St. Paddy's Day! They are so cute!!! Happy St. Patty's Day! Happy St. Patrick's Day! I love your hats. 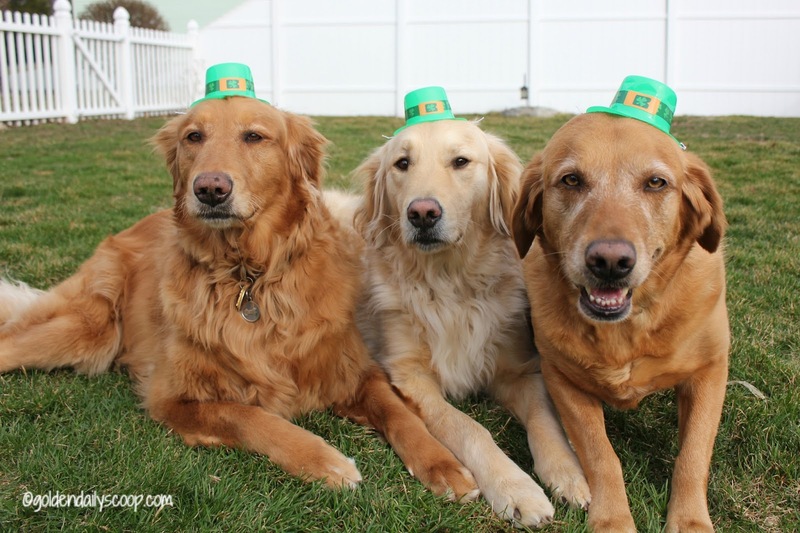 happy st patrick's day, my golden friends! Hope your day was wooftastic! Such a cute picture, love the hats on you pups! Thanks for the post.